The modern apartment has been reopened in 2018 after a renovation. 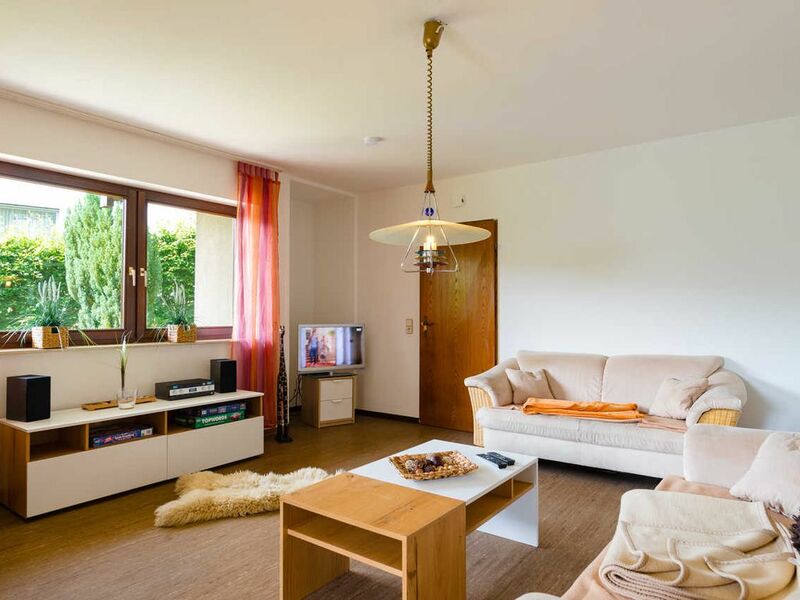 It is located in a quiet residential area of ​​Bad Kissingen and is suitable for a maximum of 2 persons. The bedroom has a double bed 180x200 cm - bed linen is provided - and a wardrobe. The bathroom has a bath, toilet and sink, a hair dryer is available, towels are provided. In the fully equipped kitchen you will find a 4-plate electric stove, oven, refrigerator and microwave, coffee machine, kettle, toaster, and sufficient cooking and eating utensils - also a dining table. In the living room is a comfortable sofa with a coffee table, a flat-screen TV with satellite connection - the view goes to the garden. Loungmöble on the terrace invite you to linger - there is also a barbecue. Wi-Fi is included in the price. The apartment Plöger is quietly located in the residential area Winkels - and yet only 2 km from the center of Bad Kissingen.